It’s been just over one month since Google removed right hand side ads. A lot has happened since and we are looking at what those changes are and how they might have impacted you. 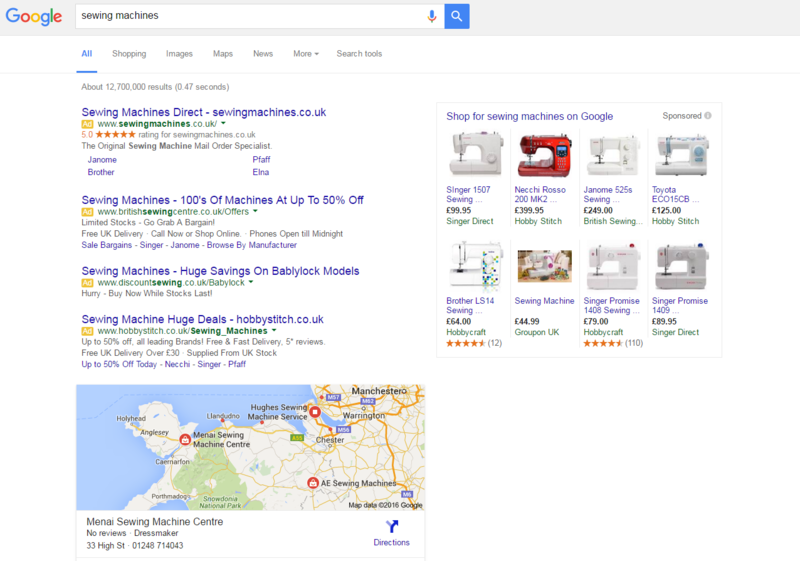 Google will from now on show only four text ads instead of three (or two in some cases) in the main area above the organic listings for more “highly commercial queries”. A further three text ads will now shown at the bottom of the organic listings. The total number of text ads that can appear on a Google Search will reduce from as many as eleven or twelve historically to a maximum of seven. Again increasing competition. Ads will not vary between the other pages. 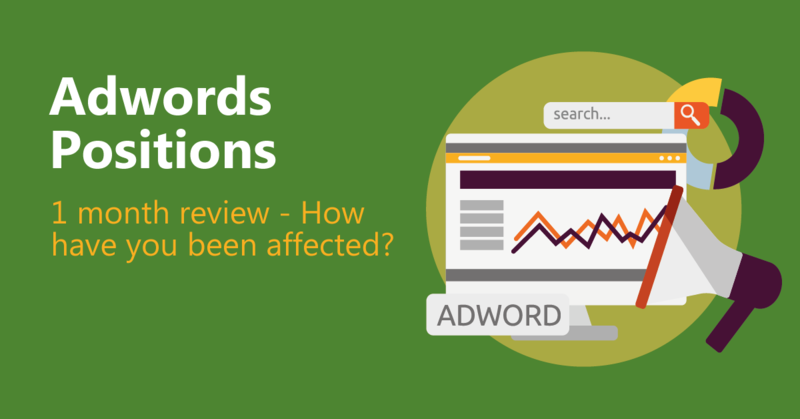 When the removal of right hand side ads were first announced on February 18th, the global marketing community went into panic mode and those involved with Adwords started pulling out hair in stress. These changes meant that pretty much everyone would be affected. Everywhere I turned, everybody was talking about these changes and how they expected to be affected. Luckily for me and my team, because we know what we’re doing (unfortunately for a lot of so called Adwords Experts this isn’t the case) we didn’t find this news that worrying. When I first heard of the changes I took my bets on how this all would pan out in the UK market (I am Paul the Octopus of Adwords) and I predicted that there was going to be an increase in CPC’s. So far it has been seen that I was right and costs have increased, albeit only slightly. I also predicted that there was going to be an increase on CTR’s for those featured on the top spots. Yet again I was right. But I believe that this is mainly true due to lack of competition. Another prediction was in regards to impressions, I said that they were going to decrease, funnily enough this is where I was wrong. They seem to have stayed the same, again remember, this is only in the UK market. I will cover the US market further down. Now it’s important that I mention that I’m only taking about the accounts that me and my team manage and not everyone else’s accounts out there, I’m sure the results for them will be vastly different from ours. Something that I found rather interesting is that for some clients, their overall costs have actually dropped. Granted, all my clients hold top positions, therefore they haven’t been majorly affected, but that’s not to say that the figures haven’t shifted, even if only slightly. Above is a graph for one of my clients account. You can see there that as soon as the right hand side ads were removed, his impression shares did decrease, funnily enough, his converted clicks actually increased meaning on the whole he is actually better off since the changes. Now I could be full of it and say that it was all due to my awesome work, and I’m not going to lie, I am awesome and I always make sure that my clients are at the top, but it was also because in a way, these Google changes removed the ads that perhaps could have meant some type of competition to me. Google has forced users to click on ads, as these are the first thing people see when searching. The first thing shown are the ads, then there’s a map. I had to scroll down quite a lot in order to get to the organic listings. I mean nowadays, who scrolls down to the bottom of the page? I mean yes there are shopping ads on the right, but these are shown under generic searches, therefore their conversion rates will never be as high. They may have high numbers of impressions but that in itself isn’t everything. So all in all, the UK market has been affected, but only very slightly for now. Only time will tell if those changes will have more damaging effects than what has been felt so far. Now into the US market. Everyone that knows me, you included, know that I am personally in charge of client accounts. I may run this business but it’s my motto to stay involved with everything that goes on in the UK and US offices, and I pride myself for being part of my teams and being actively involved with everything they do. Before this was even in Google’s radar, as part of the account management and mentoring services we offer at Click Convert, we always ensured and told our clients that they should never aim at those right hand side ads. I know that they were cheaper, but they’re not where anyone stands out. The aim is and always was the top positions of their relevant searches. In the US where the population is 319 million the impact has been felt in a way that even the most prepared people weren’t prepared for. Without right hand side ads you’re now showing 7 ads maximum to 319 million people. The competition is insane! The impact here was felt very, very fast and the competition developed very rapidly. The results? The prices have been pushed up and are only getting more and more expensive. The price pressure in the US is just staggering and a lot of search ads have suffered. Because of the size of the market in the US, and although we hold top positions as well, we have had to fight a defensive battle to keep those top positions against this new seen price pressure. Within the first couple of weeks people began realising that they weren’t getting conversions so they started investigating and found out that their impression share had dropped and that they weren’t being shown as often. That then forced them into the market to try up their positions and you now have a group of people competing for those seven spots. But with no right hand side ads you have only top of the page ads and bottom of the page ads so unless you’re really in the top positions it’s not going to work for you. So particularly for services where they didn’t really have to have product listing ads it’s become imperative to do so in order to hold the top spots, because in effect you could have been number one position or number four and more or less number four would still have done quite nicely. But now you’ve got this situation whereby that isn’t the case anymore and really affording number one position isn’t really achievable unless you’re throwing insane amounts of money into your Adwords account. Whereas it used to be a great idea, it isn’t anymore as most people are only able to afford positions number two or three. That being said, you still have to constantly monitor your impression share to ensure you are keeping hold of that top position. We are in an odd position as our clients hold top positions for their markets anyway and we don’t have dirty traffic, but that hasn’t stopped us from feeling the price pressure anyway. So overall I can say that the initial results in the UK aren’t very big therefore the repercussions can’t be looked into in detail, but that they have been felt albeit only slightly. In the US market though the impact has been felt massively and top position prices have sky rocketed and will only keep on going up. Price pressure has installed and holding top positions is only possible for those who are clever or that have money to spend. Has Google killed your business? Give us a call today to discuss how we can help you grow your business despite the changes. For the UK office call us on 08444 780 999 for the US office call us on 1-888-225-0466.